The whole spectrum of the public sector from the Police, to the NHS, to education is not governed by the pursuit of excellence for all recipients so as to maximise competitive advantage and increase market share but instead operates under the fundamental principles of delivering that which is free at the point of delivery. In which respect whether someone gets good or bad service is dependant upon the public servants own prejudices, usually dictated by stereotyping, the mass media and what's said in the gossip columns or on social media. In which respect the new Tory Leader and Prime Minister delivered a shot across the public sectors bow to bring about an end to injustice and racial disparities in the delivery of public services that many people outside of the groups of society that public sector servants favour over those that they deem to be less deserving, after all equality is entirely subjective as there is nothing in the practice of society or biology that automatically manifests equality. Prime Minister Theresa May is today launching an unprecedented audit of public services to reveal racial disparities and help end the burning injustices many people experience across Britain. The Prime Minister has ordered Whitehall departments to identify and publish information showing how outcomes differ for people of different backgrounds, in a range of areas including health, education and employment. Not only will it give every person the ability to check how their race affects the way they are treated by public services, the transparent information will help government and the public to force poor-performing services to improve. “When I stood on the steps of Downing Street on my first day, I made clear that I believe in a United Kingdom by every definition – and that means the government I lead will stand up for you and your family against injustice and inequality. Yet this type of information is not systematically captured by public services or published transparently for the benefit of the public or the government. Only in a few areas has government collected such information specifically for the purpose of revealing racial disparity, and very rarely is it published in an open and accessible way. This audit will also help understand where there are geographical inequalities in services that affect people of some races more than others, such as the white working class who tend to live in coastal towns or black and minority ethnic (BME) communities who tend to live in inner cities. As Home Secretary, the Prime Minister published stop and search data that revealed people from black and ethnic minority communities were 7 times more likely to be stopped and searched than their white counterparts. The publication helped hold forces to account and the ratio has now reduced to 4times more likely, with the aim for a continued fall. The audit will be led by a new dedicated Whitehall unit situated in the Cabinet Office, reporting jointly to the Secretary of State for Communities and Local Government, Sajid Javid, and the Minister for the Cabinet Office, Ben Gummer. The first data is expected to be published before the summer 2017 and will be updated annually to ensure the public can track improvement and better hold services to account. As an example, the Police are more likely to treat the black victim of a crime as a suspect than a white victim of a crime by probably an order of magnitude of X10 as countless examples illustrate. 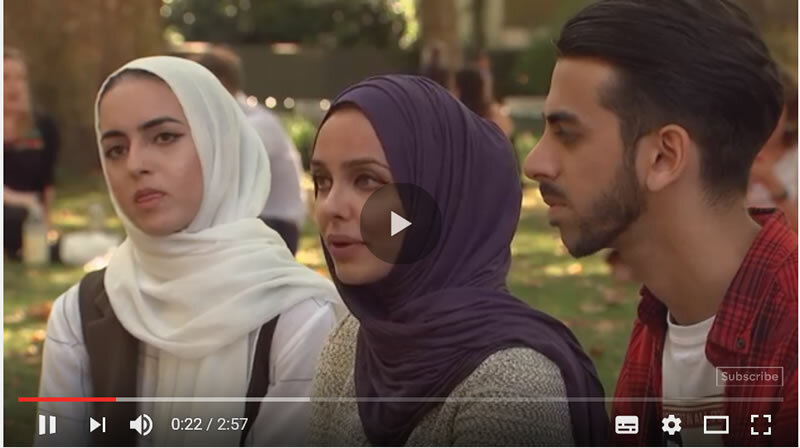 A recent example is of armed police dragging a couple of muslim women off an easy jet flight for looking muslim as this channel 4 news story illustrates. This is typical rather than atypical, that the police stereo type on the basis of ethnicity, where victims are treated as criminals, which is why if your black or asian you CANNOT trust the police! As a witness to a crime your more likely to be treated as a suspect than a helpful member of the public which the vast majority of the ethnic minorities well understand to be true! The experience of being treated worse because of ones ethnicity is institutionised right across the public sector. For instance if your asian and you visit your GP surgery for the first time in a while and see a GP that you have not seen before then after having had a blood test, the results come back as being abnormal on several counts for instance liver function and red blood cell counts then the GP more than likely will tell you to ignore the results, not because that is the right course of action to take but because being asian your automatically deemed as being perhaps a taxi driver or similar and thus not worthy of NHS referral expenditure due to the GP's own ingrained institutionalised prejudices. Now go and see a GP that you have known for a while, and you are more likely to be referred to a hospital to get to the bottom of why your bloods are out. At the end of the day this ends up costing the NHS MORE MONEY because there is no early diagnoses or treatment for a vast sway of the patient population. And this is the real world experience for many who use the NHS and all other public sector services, because unlike the private sector there is no mechanism for NHS GP's to provide the same quality of health care for all patients hence the huge disparity in quality of service that Theresa May is flagging in her racial disparities speech. This is nothing new for I have covered this topic numerous times over the past decade as well as offering a solution towards which nothing yet has come to pass. As to whether Theresa May's speech will actually amount to any change, then history suggests that it will be soon forgotten as prejudices will continue to rule the public sector until the financial power is passed from the public servant to the recipient of the service as is the case with the private sector where the customer is king. And there is no need to replicate flawed american private health system. Just look across the channel on how french deliver an excellent health system for nearly the same money. 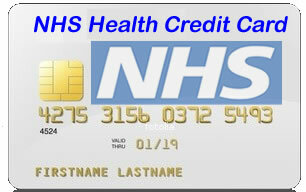 The system is virtually free, but GP is paid directly by a patient, who is in turn reimbursed by the government bu 95%.